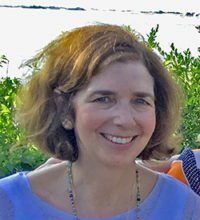 Carolyn C. Hintlian has been a clinical nutritionist, educator, and consultant in the Boston area since 1978. Her passion is to champion the cause of healthy living through nutrition, healthy weight management and fitness. For the past 12 years she has been the owner and director of Boston Nutrition, a private practice located in downtown Boston. Clinically, she is most experienced in the area of cardiovascular nutrition, including control of risk factors such as high cholesterol, hypertension, and obesity. Carolyn is also well versed in holistic health and has a special interest in working with clients who have disordered eating along with exercise resistance and body image problems. In addition to co-authoring numerous articles including Management of Obesity in Primary Care Medicine, 7th edition, Carolyn is also a registered yoga teacher (RYT) and certified to teach Kundalini Yoga (IKYTA).